Attitudes to the summit of Snowdon have varied considerably over the centuries. To the first travellers it was a formidable place, perhaps once visited by mythic heroes. The earliest climbers came as scientific botanists in search of the rare plants on its cliffs. By contrast writers of the Romantic period found spiritual value in its remoteness. Victorian adventurers slept overnight in the summit huts to experience the sunrise. By the end of the 19th century the walk (or pony-ride) to the top was a fashionable outing. Often able to make use of original sources, this book seeks to convey what it meant to all these people to undertake what seemed, for many, a pilgrimage: the wonder and awe, and sense of achievement, which they felt. With all their variations of style, they show in their responses to it the awareness of it being a special place. 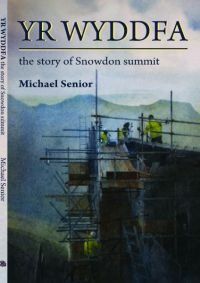 Snowdon has always been a public area, and its iconic significance has for long been threatened by its sheer popularity. Here we follow the ways in which this has been dealt with, from the provision of mountain guides to the commercial facilities provided on the top, the impact of the coming of the railway, the summit hotels, culminating in the construction of Hafod Eryri, the present visitor centre.